Operational amplifiers (op amps) have been used for decades in signal conditioning circuits and measurement systems. An op amp that has an output spanning from negative to positive supply rail are generally referred to as rail-to-rail output (RRO) op amps. These devices have been used increasingly in portable systems to drive analog to digital converters (ADCs) where reducing power consumption while not sacrificing converter dynamic range is a key concern. 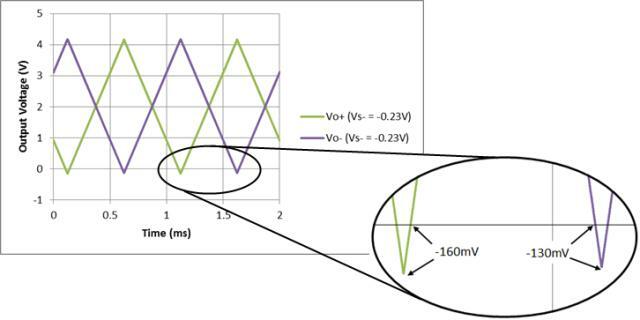 While the task calls for the lowest power RRO op amps, circuit designers are finding out that rail-to-rail doesn’t exactly mean rail-to-rail. 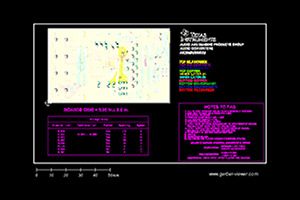 In reality the output is limited to a couple hundred millivolts within the rail depending on the loading. This problem is known as headroom and is the result of the RRO architecture. 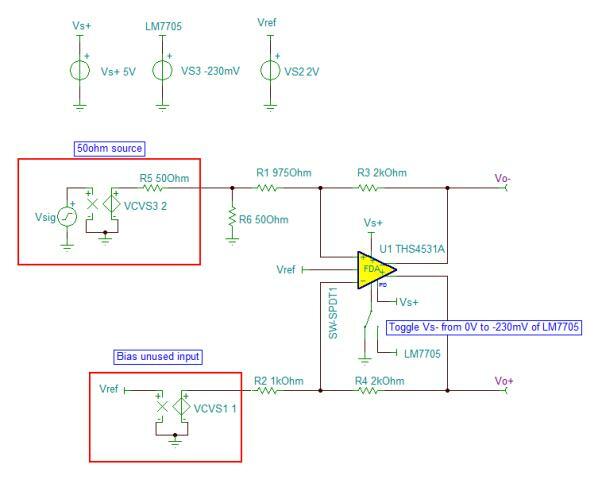 This application report focuses on using a low power RRO fully differential op amp (THS4531A) and low noise negative bias generator (LM7705) to achieve true zero volts in a ground referenced single supply system.